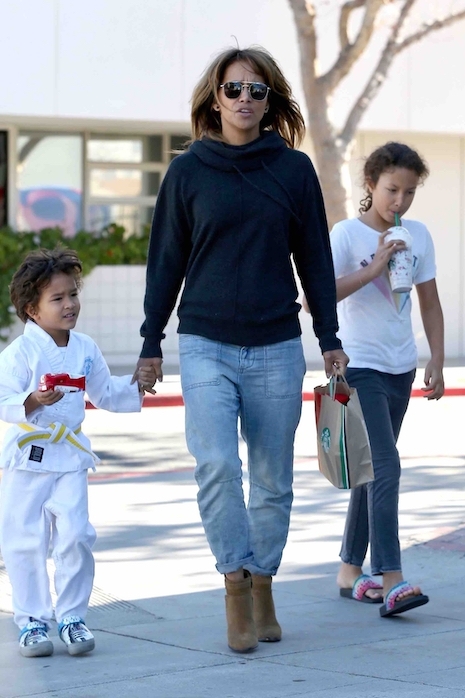 Halle Berry and her kids are ready for anything – both of her children – Nahla, 10, and Maceo, 4, have been taking karate classes for quite awhile now. Halle has always been a fiend for working out with trainers and martial arts – as a result, she’s been doing more action movies. Right now she’s working on John Wick: Chapter 3 – she plays an athletic professional assassin with two big dogs at her side. Whether her character is stalking Keanu Reeves’ Wick character, or an ally, remains to be seen. But the whole family seems strong and healthy. 8 Ways To Shake Up Your Life — NOW!